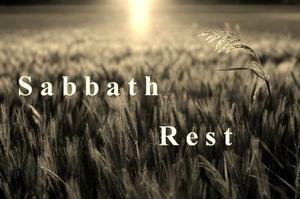 Remember that thou keep holy the sabbath day. Six days shalt thou labour, and do all thy works; but on the seventh day is the sabbath of the lord thy god; thou shalt do no work on it, neither thou nor thy son, nor thy daughter, nor thy man-servant, nor thy maid-servant, nor thy beast, nor the stranger that is within thy gates. For in six days the lord made heaven and earth, and the sea, and all things that are in them, and rested on the seventh day; wherefore the lord blessed the seventh day and sanctified it. We were created for work, but we were also made to rest. It’s interesting that even secular studies have embraced the idea that we need to take a break and relax regularly. Consultants all tell us that "Finding time to chill and unwind will help you enjoy both work and play more." In a recent Harvard Business Review article, the first recommendation for restoring passion about work is to "call a timeout." It works, according to many testimonies. A Day of Rest: Scientific Reasons Why it Works. Rest is a creational principle—it is embedded in the molecules of our DNA. God gave us permission to take a break once a week by modeling rest for himself. Six days shalt thou labour, and do all thy works; but on the seventh day is the sabbath of the lord thy God; thou shalt do no work on it. Take advantage of this special day! At first, it appears that Jesus was the ultimate Sabbath breaker. The Jewish religious leaders were furious with him for continually healing people on Saturday, which was known to the Jewish people as the “Sabbath” (a sacred or holy day). But if we look closer at the passages where Jesus performed acts of healing on the Sabbath, we’ll notice that, far from being a Sabbath breaker, Jesus was a Sabbath keeper. The religious leaders in Jesus’ day misunderstood the true purpose of the Sabbath, so they distorted it and added new rules on how to keep it. Jesus exposed the truth: if a man can be circumcised on the Sabbath in order to keep the law of Moses, certainly the healing of a man is acceptable according to the same law. If a man receive circumcision on the sabbath day, that the law of Moses may not be broken; are you angry at me because I have healed the whole man on the sabbath day? There is one significant difference between the Jewish Sabbath and the Christian Sabbath (or Lord’s Day) that is important to note. The Jewish Sabbath mirrors the creation account in Genesis 1–2, where God worked for six days and rested on the seventh. Interestingly though, the Lord’s Day reverses this pattern entirely. According to the Law, we are to work first, and then we are granted rest. Jesus reversed this pattern for us when he perfectly obeyed all of the Ten Commandments and kept the law on our behalf. By living the perfect life, Jesus has met God’s perfect standard. According to the book of Hebrews, Jesus provided rest for us (4:8) and then out of that rest and the gratitude we have toward Him, we actually want to work. Because of Jesus’ work, we start each week with rest—mirroring that eternal Sabbath rest that is already our inheritance in the new creation. Giving thanks to God, we return to our workweek refreshed and thankful for what God has done for us in Christ. 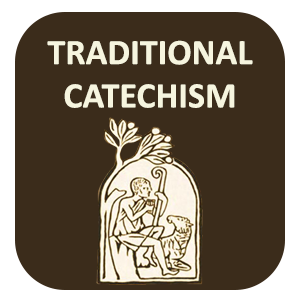 In our next lesson we will show why we as Catholics have Sunday as our Sabbath.